American Coco Vandeweghe, who has also found herself in trouble with tennis authorities, appeared to support Kyrgios with a reply to his tweet. 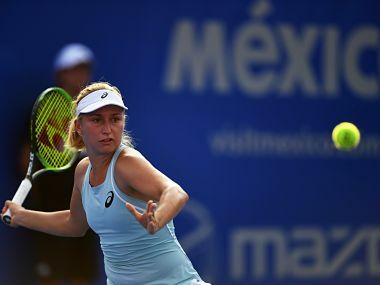 Daria Gavrilova and Lesia Tsurenko advanced to the second round of the Mexican Open in Acapulco, after eliminating unseeded Madison Brengle and Lauren Davis, respectively. 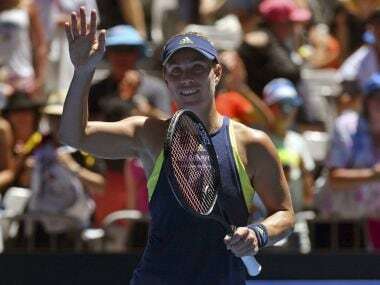 Former champion Angelique Kerber continued her resurgent run with a 6-0, 6-4 win over Anna-Lena Friedsam to reach the second round of the Australian Open. Halep must first overcome Aiava if she is to realise her dream of going on to win a first Grand Slam title. There were no problems for Wozniacki after the Dane recovered from a rough start to romp home 6-3, 6-0 against American Madison Brengle. Competing in her first Grand Slam since taking a year off to have her first child in December, Azarenka is bidding to become the first mother to win Wimbledon in 37 years. With Karolina Pliskova and Petra Kvitova's early exits, an open draw has been pushed even further wide apart, and the unpredictability and intrigue attached with the women’s section has gone up a notch. Ailing Petra Kvitova, the two-time Wimbledon champion and the bookmakers' favourite for the 2017 title, said she felt like a "slow animal" in her shock second round exit on Wednesday. The first day at Roland Garros saw the inspiring Petra Kvitova triumph in an emotional comeback while World No 1 Angelique Kerber lost to Ekaterina Makarova in the very first round. But let's take a look at some of the off court stories. 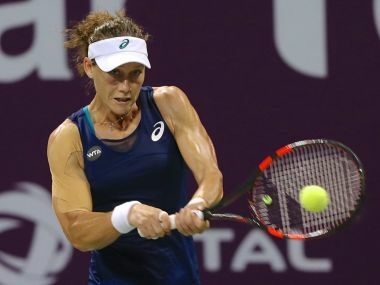 Former world number one Jelena Jankovic was the most notable winner on a day affected by rain and thunderstorms at the Qatar Open on Monday.